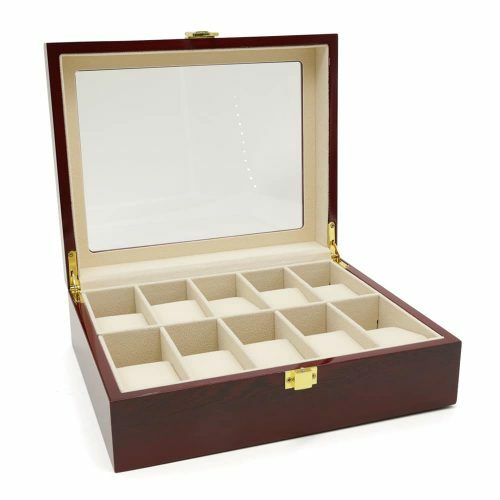 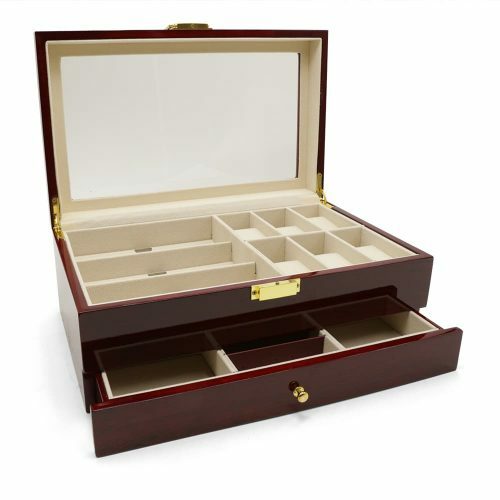 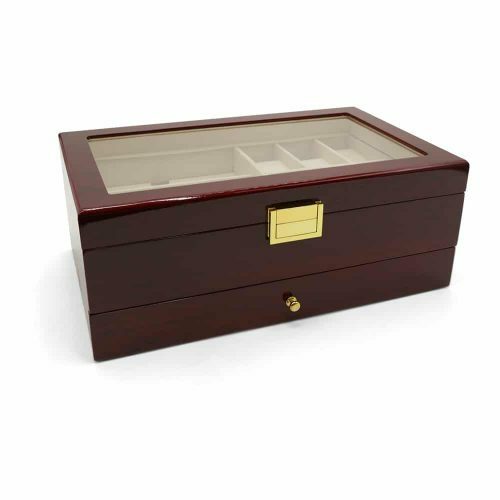 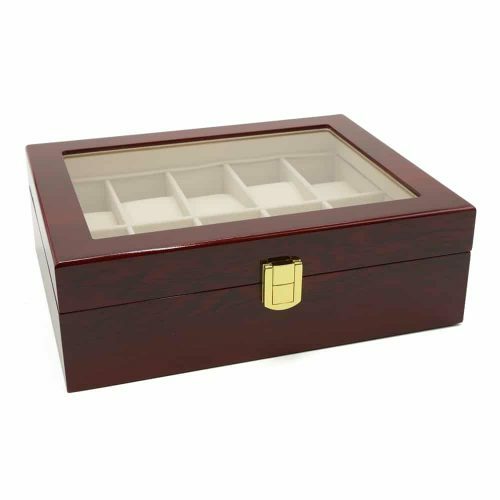 Display your watches with this beautiful Deep Mahogany 2 Slot Watch Winder w/ 3 Slots. 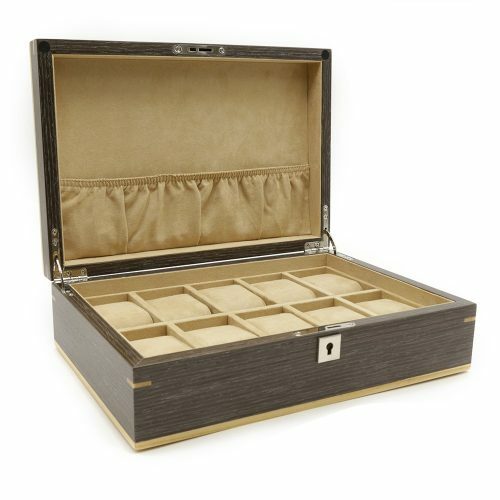 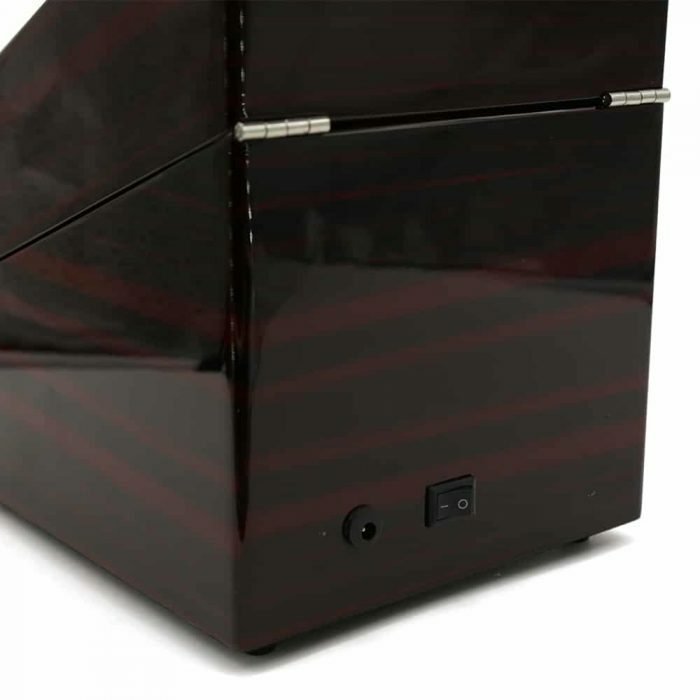 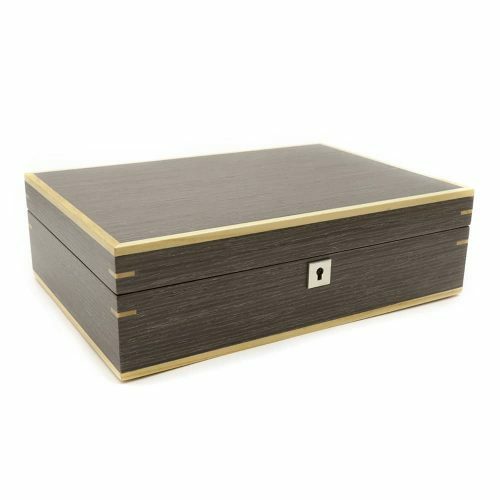 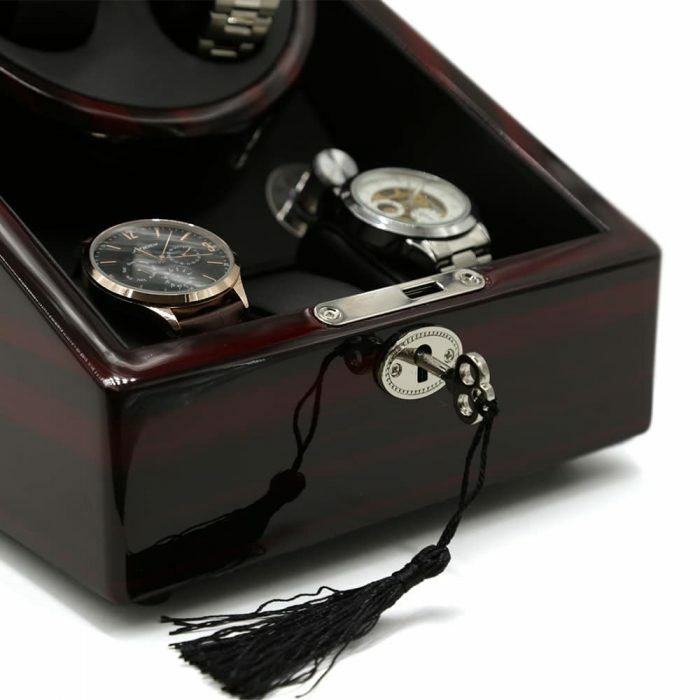 This automatic watch winder is an excellent addition to any room with its beautiful high gloss deep mahogany finish and a high-quality black PU leather interior. 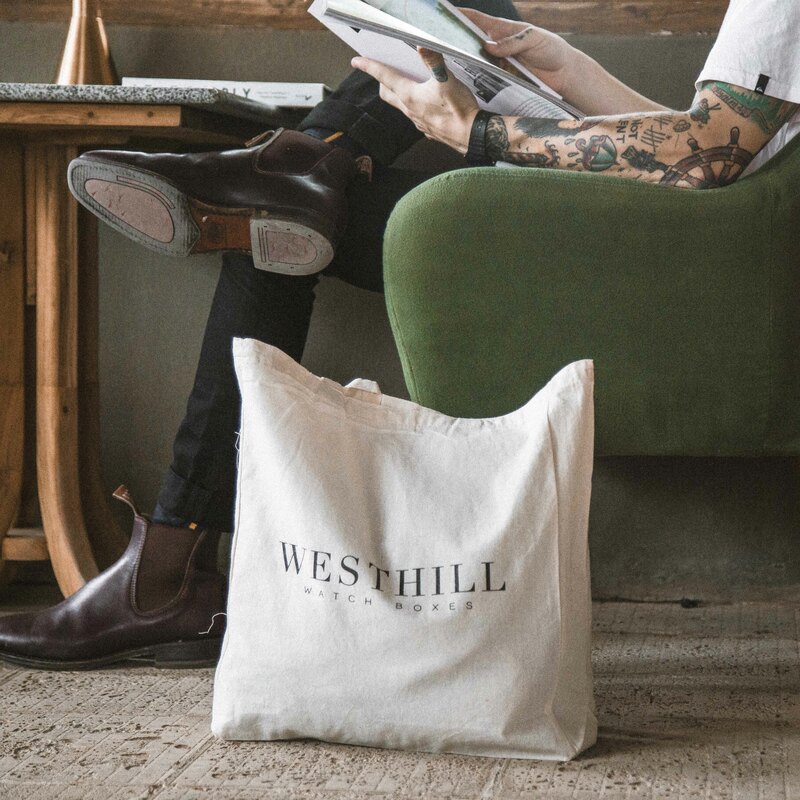 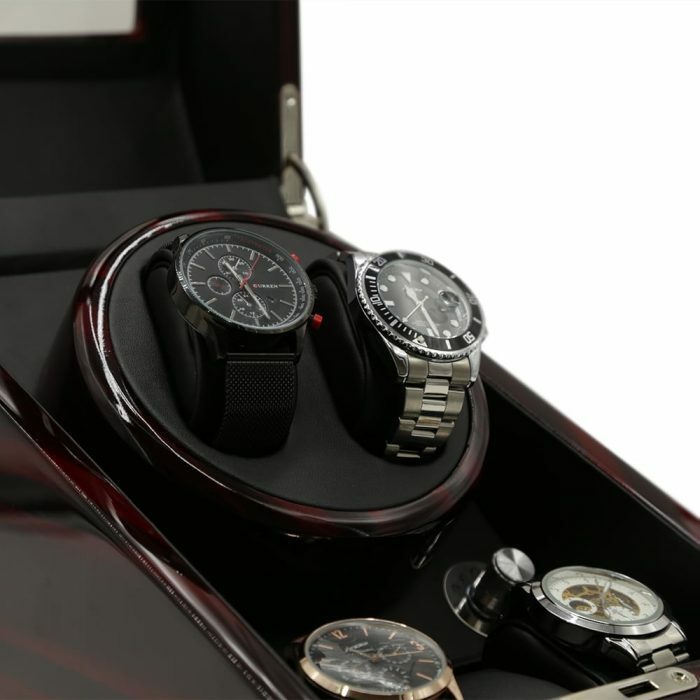 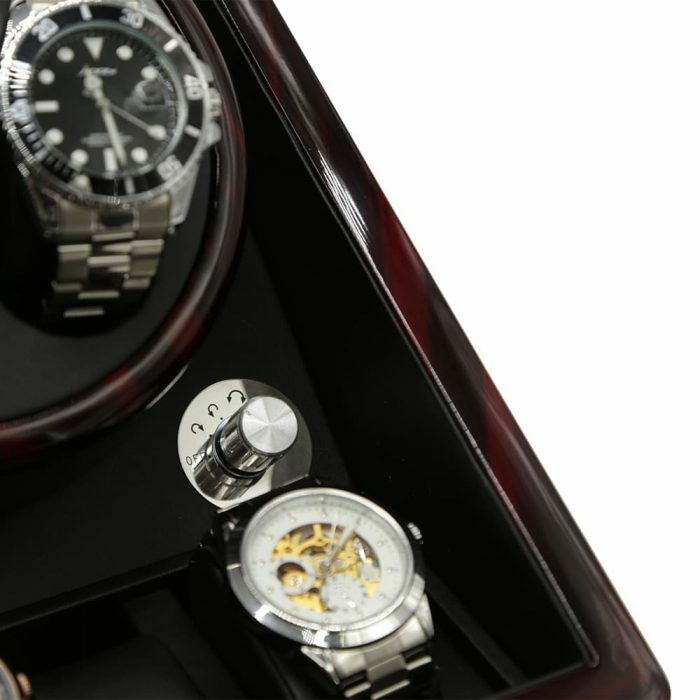 The lid has a transparent panel and a silver lock and key to keep your watches dust-free.